Nowadays, every business is moving towards a ‘digital’ business. 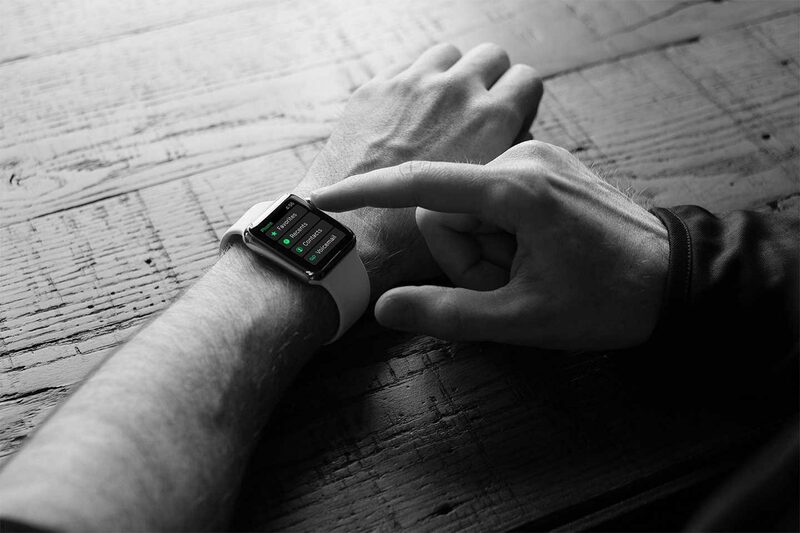 Whether you want to optimize your operational processes, give your customers a better customer experience or launch a startup; it is likely that new technologies like mobile apps, the cloud, internet-of-things will be part of this. At Milèstre we will make your business ready for today’s ‘digital’ world. Because of years of experience on web & app development and a strong focus on the digital channel we are able to develop innovative, intelligent and user-friendly (instant) apps, websites and business applications. Native, hybrid & web-apps that will run smoothly everywhere on every platform (iOS, Android & Windows). 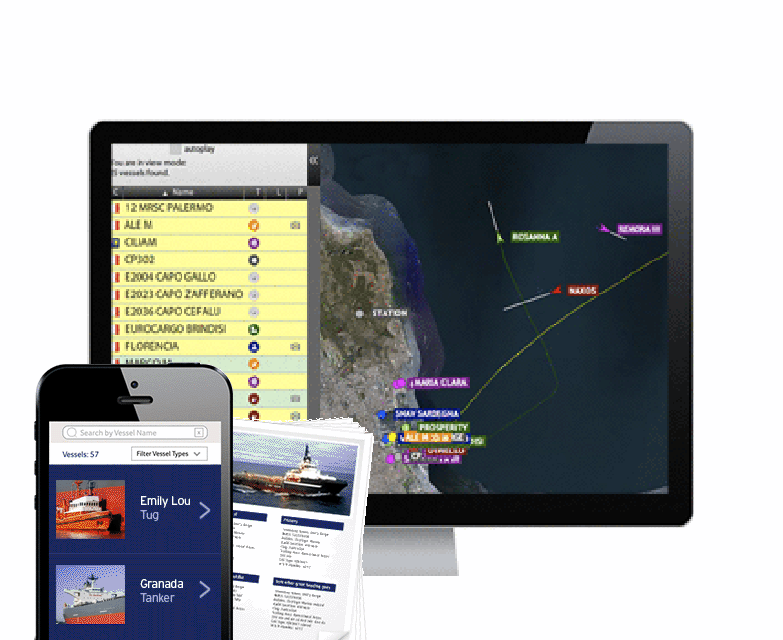 A combination of a mobile app, desktop application and a website that work together seamlessly, all controlled and managed by one single backend. 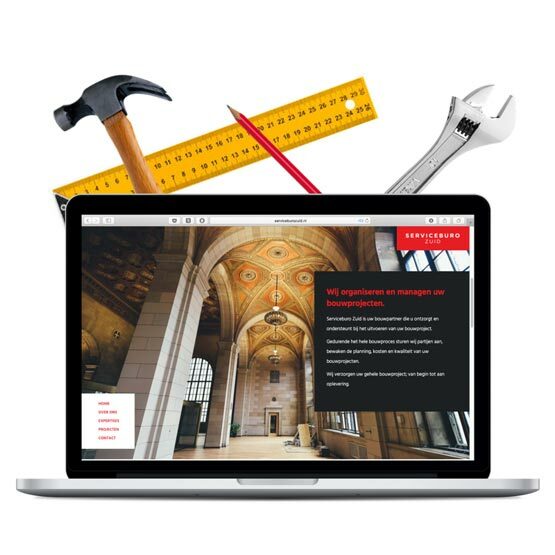 Responsive websites that are optimized for SEO and look spectacular on desktop and mobile. Instant Apps: target your customers right in their heart by giving them an impeccable app experience that is focused on their needs during moments they are already engaged. Instantly, in the mobile browser. 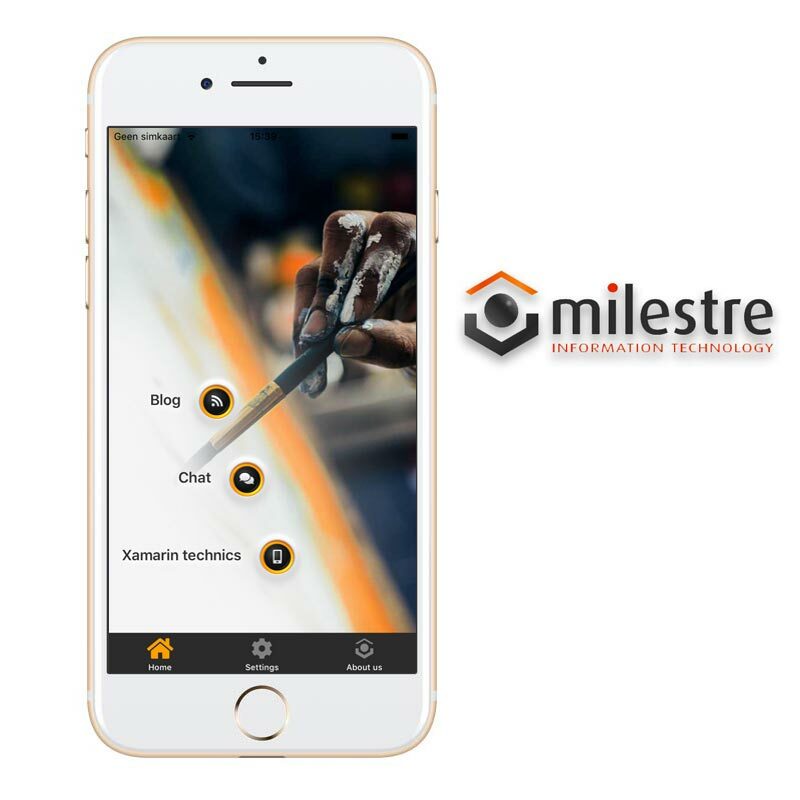 The Milestre BV app is a native mobile app, available on iOS and Android platform, to present different innovative technics that can be used in a Xamarin Forms app. Technics like signalR Core, multi-language support, cognitive services and push notifications are used in this app. If you want to see the operation of it, please download the app by selecting one of the buttons below. 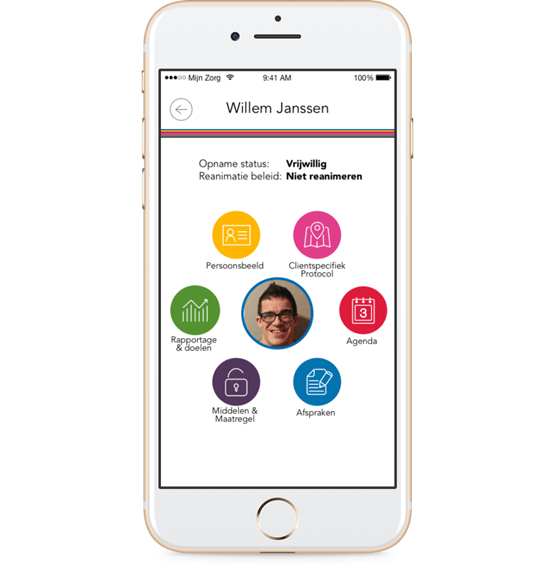 Vraag Eva is a mobile app for women who use the birth control pill. 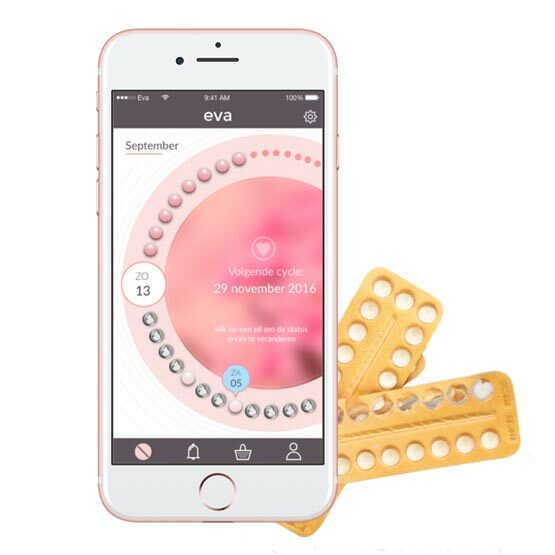 Eva is like a personal assistent that warns you when you have to take the pill, the gap week is over or when you have to order a new stack. In addition to these features, users can also order a new stack and get it delivered at home; only with the touch of a button. The Clementine platform consist of a mobile app, website and desktop application that are managed by one single backend. 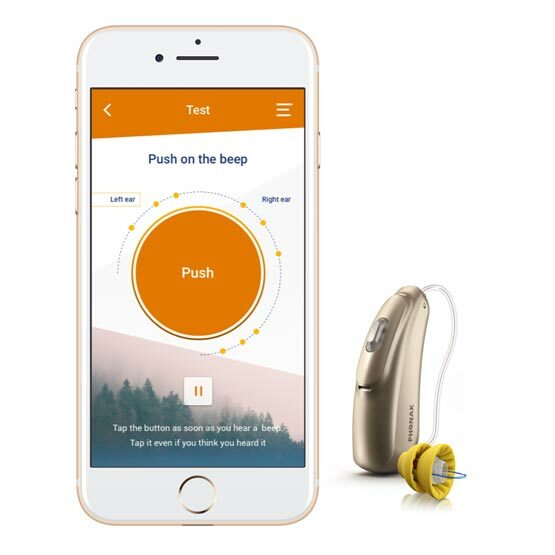 The app allows users to keep in touch with their audiologist, quickly do a hearing test and buy new products by just a few clicks. To manage their clients, audiologist have their own backend so they are able to provide a better service by communicating and share information in an accessible way. 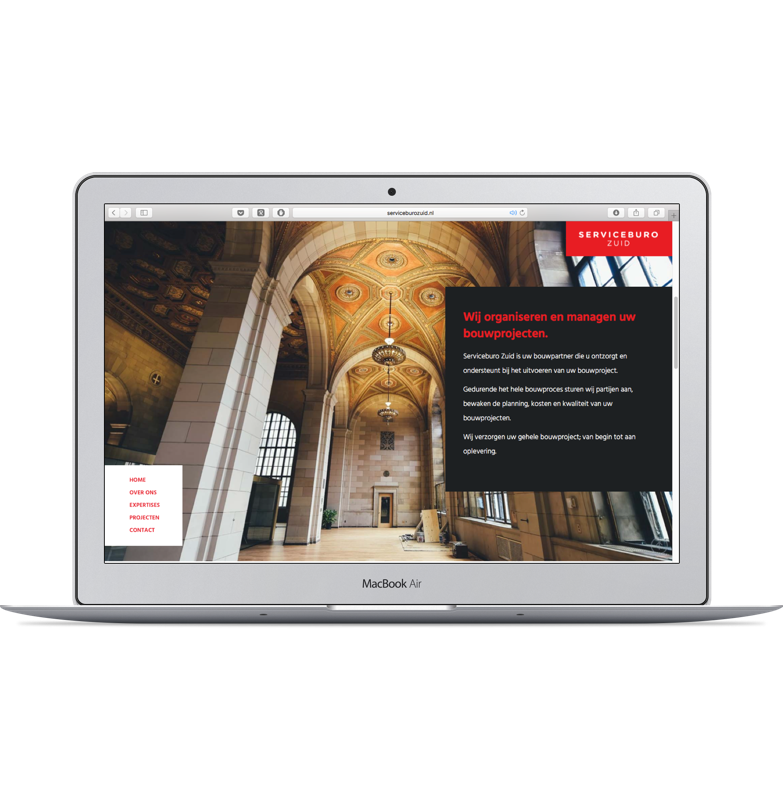 A combination of an unique design with own photography gives the website its own identity that shows the expertise, quality and solidity where Serviceburo Zuid stands for. This combination plus a the latest trends in the field of web-development resulted in a website that is optimized for mobile and SEO. 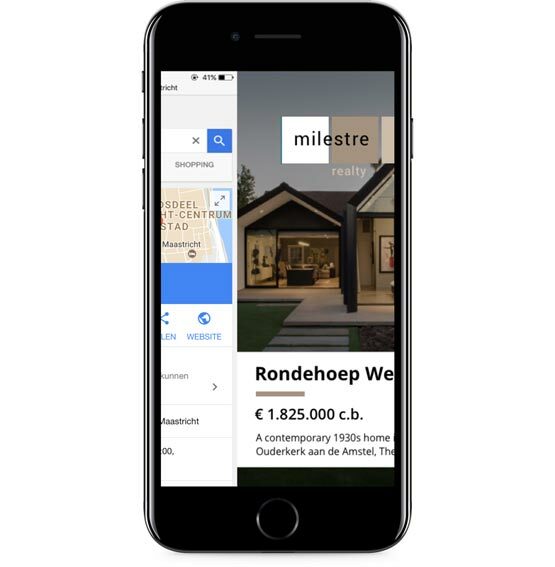 You can think of PWAs as responsive websites that navigates and feels like a native app, including offline capabilities and push notifications, but it will open directly in the mobile browser. PWAs are focused in conversion, engagement and user experience. Because of the simplicity and without the friction of installing an app, users will interact with an app that is targeted to their needs and make the purchase within a few seconds. 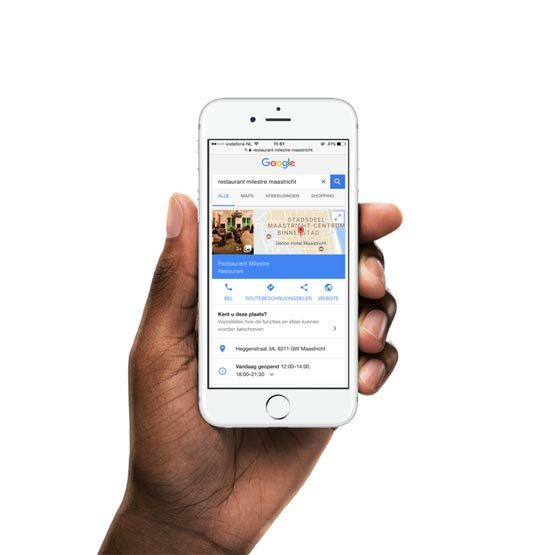 With a progressive web app you target your customers right in the heart during those critical mobile micro-moments and create that conversion & brand-engagement you are looking for; Instantly. That is why we call them 'Instant Apps'. Check out for more info and different examples here! Have a question? Or anything interesting for us?